CHARLESTON, W.Va. (Legal Newsline) - The West Virginia Supreme Court of Appeals has reduced the amount of punitive damages in a wrongful death lawsuit against a nursing home from $80 million to approximately $32 million. The court also dismissed two claims and remanded the lawsuit back to Kanawha Circuit Court. The original jury verdict was worth more than $90 million. 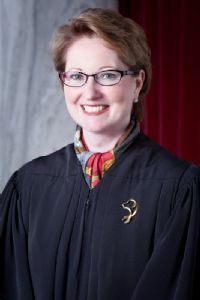 Chief Justice Robin Jean Davis; Circuit Judge Alan D. Moats, sitting on temporary assignment; and Justice Margaret Workman voted in the majority, with Davis authoring the opinion. Justice Brent D. Benjamin concurred in part and dissented in part. Justice Allen Loughry dissented, calling the majority's opinion "shockingly result-oriented." -The punitive damages award is reduced proportionate to the reduction in compensatory damages, and the reduced amount of punitive damages, which equals approximately $32 million, passes constitutional muster. In 2009, Dorothy Douglas was admitted to Heartland Nursing Home in Charleston and, after 19 days in the nursing home, she had become dehydrated, malnourished, bed-ridden and barely responsive, it was alleged. She had fallen numerous times, sustained head trauma and bruises and suffered from sores in her mouth and throat that required the scraping away of dead tissue and debris, it was alleged. She was transferred to another nursing facility, then to Cabell Huntington Hospital, and ultimately to a hospice care facility where she passed away 18 days after leaving Heartland Nursing Home. Douglas' son, Tom Douglas, filed suit against Manor Care, Inc.; HCR Manor Care Services Inc.; Health Care and Retirement Corporation of America, LLC; Heartland Employment Services, LLC; John Does 1 through 10; and Unidentified Entities 1 through 10 (as to Heartland of Charleston), alleging negligence under the MPLA, violations of the NHA, a breach of fiduciary duty and corporate negligence. Following a 10-day trial, the jury returned a verdict in favor of Tom Douglas in the amount of $11.5 million in compensatory damages and $80 million in punitive damages. The defendants then filed a motion for judgment as a matter of law, which the circuit court denied. They then appealed to the Supreme Court. The appeal was submitted on March 5. The defendants have raised numerous issues involving the verdict form, the application of the MPLA to this action, the application of the NHA to this case, whether the claim for breach of fiduciary duty is recognized in West Virginia and the propriety of the punitive damages awarded, according to the majority opinion. The majority opinion states that the April 10, 2013, order of Kanawha Circuit Court denying the defendant's motion for judgment as a matter of law, a new trial, or remittitur is affirmed as to its rulings that the defendants waived the issue of whether the verdict form disregarded the distinct corporate forms of the defendants, that the verdict form did not allow the jury to award damages to non-parties, and that the MPLA did not provide the exclusive remedy for the asserted negligence claims. "The order is reversed based upon our finding that the NHA claim is governed by the MPLA, and, due to a lack of evidence that the pre-suit requirements of the MPLA were met, the NHA claim is dismissed, and the accompanying $1.5 million award is vacated," the majority opinion states. "In addition, the circuit court's order is reversed insofar as it recognized a breach of fiduciary duty claim against a nursing home. The breach of fiduciary duty claim is, therefore, dismissed, and the accompanying $5 million award also is vacated." "Finally, we reverse the punitive damages award and remand with instructions to the circuit court to give Mr. Douglas a period of thirty days from the date the mandate for this opinion is issued to advise the circuit court whether he will accept remittitur in the amount of $48,021,478.07, which would reduce the punitive damages award to $31,978,521.93, or submit to a new trial on punitive damages only," the majority opinion says. In her concurring opinion, Workman states that she agrees with the majority's analysis of the assignments of error regarding the verdict form, the non-exclusivity of the Medical Professional Liability Act to the facts of this case, the non-viability of a breach of fiduciary duty claim and its analysis of the punitive damages. "I write separately, however, to express my staunch disagreement with the majority's handling of the Nursing Home Act... claim," Workman's opinion states. "The majority has inexplicably refused to address the central issue argued by the parties - the obvious duplicativeness of the award of damages thereunder - and in a startling abuse of appellate discretion, has simply thrown out the award ostensibly because it cannot make sense of it." Workman stated that while she agrees that the verdict form in this matter was poorly constructed and is far from cogent, she was unaware of any legal authority which permits this court to toss out a jury award "like so much garbage simply because it claims to be confused by it." "If the majority had simply addressed the issue as framed and argued by the parties, and as dictated by common sense, the same result would obtain without the majority looking positively silly," Workman's opinion stated. Despite the fact that Workman "cannot subscribe to the majority's summary dismissal of the $1.5 million NHA award because of its 'confusion' about the matter," she believes it is plain that such award must be vacated because it is duplicative of the other damages awarded in this case. "Although this was the primary issue presented in this appeal, the majority chose to dodge it," she states. "The majority's refusal to so much as dignify these arguments, but rather, vacate the award on the ostensible basis that it is too confused by these issues to address them constitutes an unprecedented shirking of its judicial duty to resolve the issues presented. There is a large pink elephant in the room that the majority chose to ignore. Accordingly, insofar as stated herein, I concur." "I also concur with the majority's decision with respect to the dismissal of the plaintiff's breach of fiduciary duty claim and NHA claim," Benjamin's opinion states. "I dissent, however, from the majority's decision regarding the awarding of punitive damages herein. Specifically, I believe that the verdict form was insufficient to justify the award of any punitive damages in this case." Benjamin states that it is his opinion that it was improper for the circuit court to allow a verdict form containing a punitive damages multiplier on a verdict in which the jury only made findings of simple negligence on the part of the petitioners. "For these reasons, I would reverse the circuit court's finding on this issue and accordingly vacate the jury's award for punitive damages," Benjamin's opinion states. "I therefore respectfully concur, in part, and dissent, in part, to the majority's decision in this case." In his dissent, Loughry stated that without question, the biases and whims of the majority are on "full display" in its "boldly tortured analysis." "When the majority so plainly usurps the discretion afforded to West Virginia juries, substituting its own policy judgments for theirs, how can any citizen be confident that their fate rests in a jury of their peers rather than three members of this Court?" Loughry's opinion states. "Furthermore, when this Court disregards not only the United States Supreme Court's long-standing punitive damages jurisprudence, but its own precedent, how can any entity doing business in West Virginia be expected to 'order [its] behavior?'" In this case, the majority recognized that the trial court permitted improper claims to be presented to the jury, but, rather than remanding for a new trial, simply reduces the jury's verdict, according to its own perceptions of what the verdict should have been without any legal basis for its conclusions, according to Loughry's dissenting opinion. "The majority goes so far as to vacate an entire $1.5 million in damages simply because it claims not to understand the 'nature and purpose' of the award," his opinion states. "Further, the majority upholds the 7:1 punitive to compensable damages ratio, concluding that it is constitutionally permissible, despite the substantial due process deprivation its excessiveness represents. "While the majority has reached its disposition under the guise of protecting our most vulnerable citizens, it nonetheless upholds a fatally flawed verdict that has been corrupted by substantial legal errors. By presumptuously reducing that corrupted verdict to reflect its own judgment, I submit that the majority has proceeded down a misguided path littered with the vestiges of our legal system. For these reasons, I respectfully dissent." From Legal Newsline: Kyla Asbury can be reached at classactions@legalnewsline.com.